CapitaLand Vietnam Commercial Fund I the first in a series of investment opportunities. CapitaLand Limited has successfully set up its first commercial fund in Vietnam - the CapitaLand Vietnam Commercial Fund I (CVCFI). The first in a series of investment opportunities, CVCFI has closed at $300 million, according to a company press release. Investing in a Grade A commercial real estate in Vietnam, CVCFI will have a life span of eight years. CapitaLand will hold a 40 per cent stake while the remainder will be held by major institutional investors. Besides the growing demand for residential properties due to urbanization, CapitaLand also sees strong potential upside in the commercial real estate sector given the mismatch between demand and supply of quality office space. 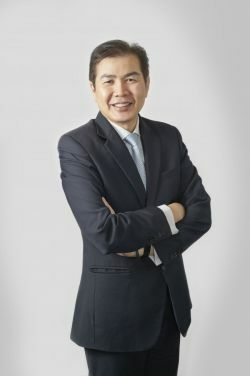 “Having firmly established CapitaLand in key gateway cities like Ho Chi Minh City and Hanoi, we are able to leverage our developer - owner - operator capabilities and strong fund management expertise and harness synergies across asset classes to deliver better risk-adjusted returns for investors,” he said. CVCFI brings CapitaLand a step closer to its goal of raising funds and having total assets under management of up to $10 billion by 2020. “It comes on the back of our largest private equity partnership, the $1.5 billion Raffles City China Investment Partners III, which invests in prime integrated developments in gateway cities in China,” Mr. Yan added. Vietnam is the third-largest market for CapitaLand in Southeast Asia, after Singapore and Malaysia. It has nine residential developments, 22 serviced residences with over 4,700 units, and one international Grade A office development in six cities in Vietnam.